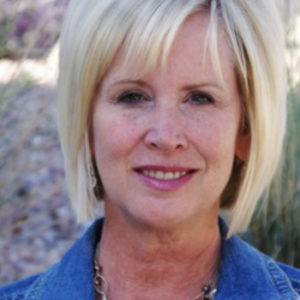 Judy Dunagan served as a women’s ministry leader before joining Moody Publishers as an acquiring editor for the women’s line of books and discipleship resources. A wonder seeker who chases knowledge of God and His Word, Judy is passionate about discipling women and making God’s Word and prayer come alive in everyday life. Judy and her husband, Rick, have been married 34 years and love their empty-nest years in the Colorado mountains. They have two married daughters; one in Kansas City, and the other in Minnesota, which is too far away from their first grandbaby, Liam. To learn more about being a wonder seeker, visit Judy's blog at judydunagan.com. Visit Judy's blog at judydunagan.com. Judy will be teaching one breakout session, and taking 15-minute appointments. The vision of Moody Publishers is to proclaim the gospel of Jesus Christ and a biblical worldview. Our mission is to educate and edify the Christian and to evangelize the non-Christian. Judy acquires non-fiction books for the women’s line of books at Moody. She is looking to acquire more books and Bible studies that focus on discipling women and inspiring them to go deeper in their walk with Him. She’d love to see proposals with themes related to growing a deep prayer life and a greater love for the Word, a passion for revival, and God redemption stories. Her target reader is typically between the ages of 30-55, but she also loves seeing proposals geared to millennials. She also welcomes proposals focused on marriage or parenting.